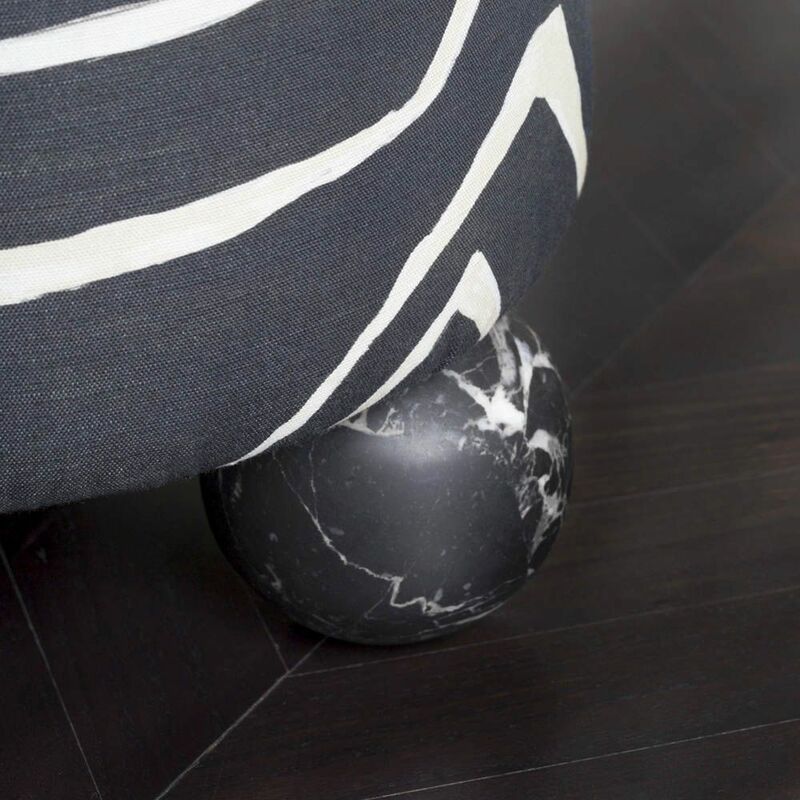 This delicate stool has a soft taper from bottom to top and gently balances on top of three solid marble spheres. The Selma Stool is perfect next to a club chair or floating in a living room as casual seating solution. More details below. 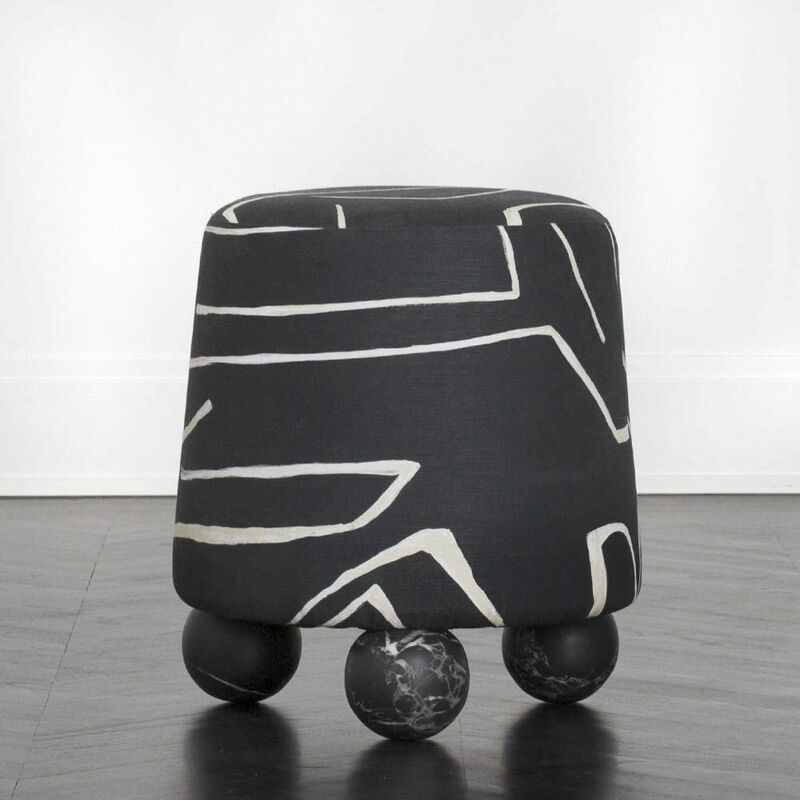 This delicate stool has a soft taper from bottom to top and gently balances on top of three solid marble spheres. The Selma Stool is perfect next to a club chair or floating in a living room as casual seating solution. 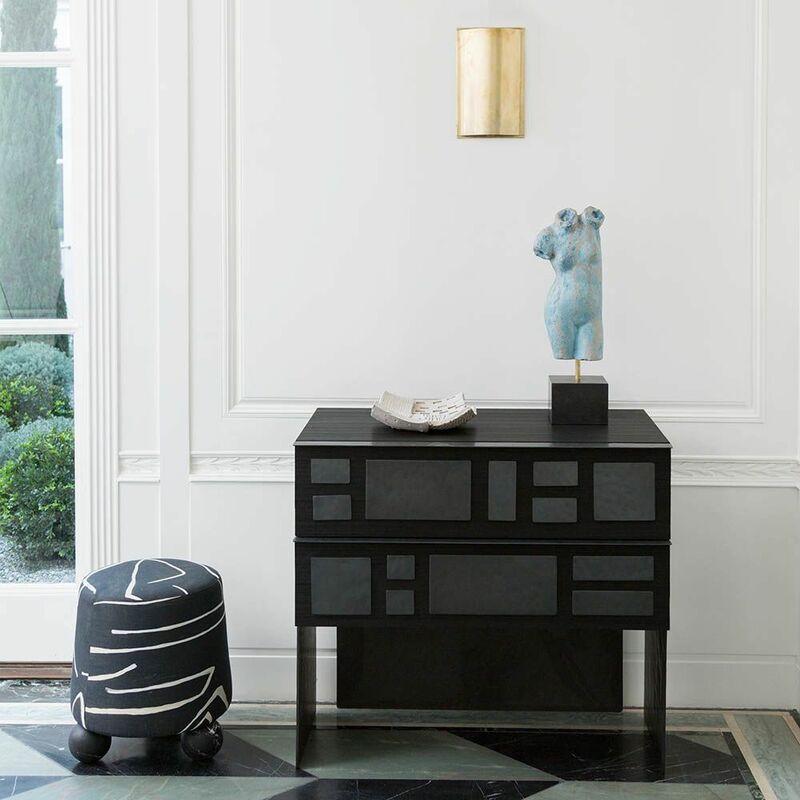 The marble feet give the stool a substantial feeling, while still allowing it to be light enough to be easily moved around.